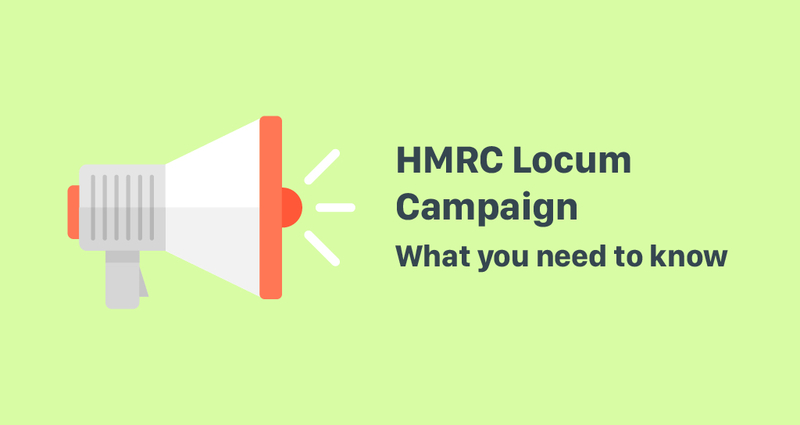 The heavily criticised tax law, known as IR35, is being applied to locum workers in HMRC’s best effort to destroy the self-employed sector. IR35 seeks to combat tax avoidance by suggesting that workers who supply their services via an intermediary, such as an agency, umbrella company or a limited company, aren’t paying enough tax. In 2017, HMRC turned its gaze to the public sector. Part of their reform shifted the responsibility for determining IR35 outcomes from the worker to the public sector employer. This resulted in the NHS’s shocking application of the IR35 rules forcing many locum nurses to leave the service due to being unable to afford to work as locums. And this does not bode well for other locum professionals such as pharmacists. In industries where there is a great deal of legislation and working standards - such as any healthcare profession - IR35 can decide that the employer's procedures are "controlling" the worker and therefore they are working as an employee. What does being “Inside IR35” mean? Being inside IR35 means that the legislation has deemed you are an employee and therefore liable to pay additional tax. In the case of the locum NHS nurses, they had additional tax taken from their earnings. And because they are now classified as employees they were also unable to claim any travel expenses such as accommodation. Because of this, the nurses saw their incomes reduce by between 30 and 45 per cent. Who is at risk from this current campaign? a locum operating through a Limited Company, where you are the only individual in that company. It is the tax advantages of setting yourself up as a limited company that cause HMRC concern. What can you do to protect yourself from IR35? Control - how much control does your client, the pharmacy, have over how or when you work? Substitution - has your client recruited you or would they accept a substitute? Mutuality of obligation - is the client obligated to offer you work and are you obliged to accept it? In the event of an inspection, it is likely that you and the engager/client will be fighting the same corner. It may be worth discussing how you work your shifts to ensure you are on the same page. HMRC may ignore any contract in place and instead gather its own evidence of the actual working relationship. Providing your own equipment, having full indemnity insurance and taking the work one shift at a time are all positives regarding staying outside of IR35. These and other actions demonstrate your ability to work is not dependant on the pharmacy, that you accept financial risk and that you are not engaged on a rolling contract. You can also take a free online test to receive an evaluation of your current IR35 status. You will likely fall outside of IR 35 if you are a sole trader operating through Locate a Locum. This is because Locate a Locum is not an agency. A locum finding work through us will receive their payment directly from the pharmacy. Remember that tax law is complex. Please, seek professional advice if you have any concerns about IR35.